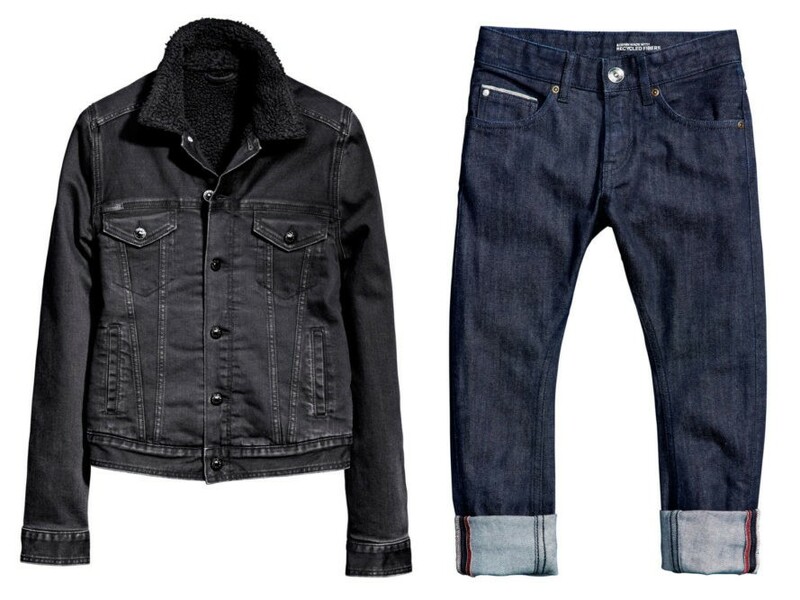 H&M is expanding its selection of denim made from the reclaimed fibers of clothing collected through its garment-recycling initiative. Debuting in September, the 16 new styles are part of the Swedish retailer's efforts to create a "circular" or closed-loop economy for fashion. The new pieces, which feature a blend of recycled and organic cotton, include three styles of jeans, a denim jacket, and a denim jumpsuit for women, two distressed slim-leg styles and a pair of coated-denim joggers for men, and a zip-up hoodie with animal ears for children. H&M broke ground in 2012 by becoming the first apparel company to launch a clothing take-back program across all 48 of its markets worldwide. With an eye on limiting textile waste in landfills, as well as reducing resources used in the production of fabric, the firm has, to date, collected more than 14,000 tons of clothing globally. 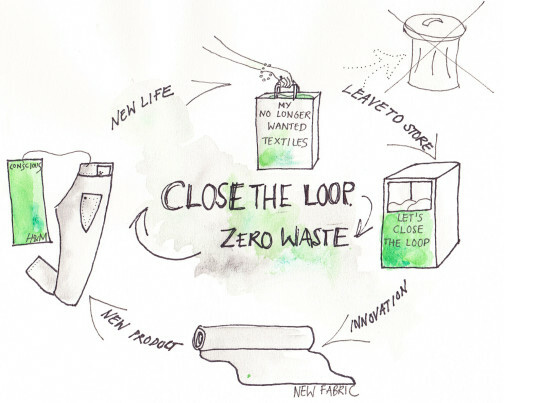 “Creating a closed loop for textiles, in which unwanted clothes can be recycled into new ones, will not only minimize textile waste, but also significantly reduce the need for virgin resources as well as other impacts fashion has on our planet,“ Karl-Johan Persson, CEO of H&M, said in a statement on Thursday. H&M says it plans to increase the number of garments made with at least 20 percent recycled fibers by about 300 percent from 2014 numbers. It’s even partnered with London College of Fashion’s Centre for Sustainable Fashion to launch the United Kingdom’s first nationwide Fashion Recycling Week, which will run from August 31 through September 6. Members of the public will be able to deposit their castoffs throughout the week at garment-collection boxes scattered around the Covent Garden Piazza. When that’s over with, students from the school will be challenged to repurpose those clothes into window installations for eight local H&M stores. Still, the question needs to be asked: Wouldn’t it behoove H&M to make its wares less, well, disposable to begin, thus not adding to the glut? “We recycle no less than 97 percent of the clothes and textiles we collect into new products like clothes, insulation for cars, and most importantly into new garments, closing the loop in fashion,” Catarina Midby, H&M’s sustainability manager, told British Vogue. A wonderful step in the right direction ... now... do they come in realistic dress sizes or are the patterns still pined for the same cookie cutter body types as the rest of the fashion industry? They are starting strong with this project and I hope they take the opportunity to move forward an a wholly ethical and socially conscious manner, from the ground up. Interesting - sort of - here's the thing.... In the U.S. at least, recycled clothes are taken by Goodwill and Salvation Army and other thrifts and re-sold. What they don't sell is baled and ends up as rags for plant operations (has to be cotton only) and the rest is baled and sold in 3rd world countries who don't have the quality. What I'd like to see is the polyester fibers recycled and they can be but they have the same market value as plastic bottles right now - ie..less than 0 (actually the same material by the way)...so if there isn't any money in REALLY recycling then it's not going to happen and there won't be any as long as we accept clothes made in 3rd world countries for 5 cents an hour. H&M broke ground in 2012 by becoming the first apparel company to launch a clothing take-back program across all 48 of its markets worldwide. With an eye on limiting textile waste in landfills, as well as reducing resources used in the production of fabric, the firm has, to date, collected more than 14,000 tons of clothing globally. It's even partnered with London College of Fashion's Centre for Sustainable Fashion to launch the United Kingdom's first nationwide Fashion Recycling Week, which will run from August 31 through September 6. Members of the public will be able to deposit their castoffs throughout the week at garment-collection boxes scattered around the Covent Garden Piazza. When that's over with, students from the school will be challenged to repurpose those clothes into window installations for eight local H&M stores.